The Lagos State Government on Friday announced a ban on street trading and street hawkers with effect from July 1 2016. Speaking at a live interview session, the State Governor, Akinwunmi Ambode noted that the decision was in line with Section One of the Lagos State Street Trading and Illegal Market Prohibition Law 2003 which restricts street trading and hawking in the metropolis. Governor Ambode said the State Executive Council has resolved to enforce the Law, which according to him makes both the hawker and the buyer liable of the offence. 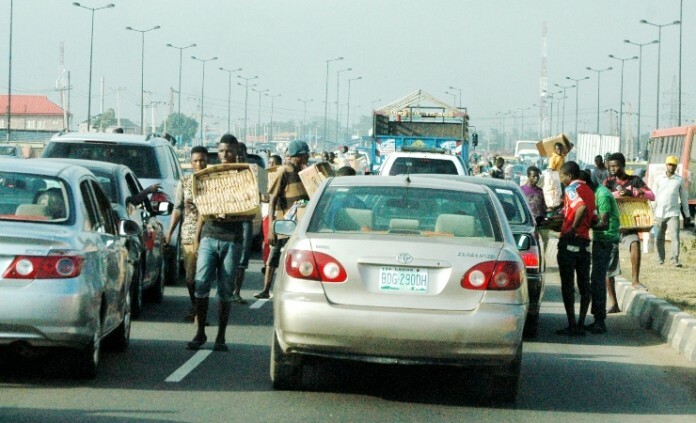 “What we are doing on traffic is that we are introducing new strategies to eliminate traffic but Lagos being a cosmopolitan city, you cannot totally eliminate it but now this is the case, in the next few days, you will see on the street of Lagos signs that will be warning you that buyers and hawkers should be aware that there are consequences,” Governor Ambode said.